With obesity continuing as a global epidemic and therapeutic technologies advancing, several novel endoscopic and minimally invasive interventions will likely become available as treatment options. With improved technologies and different treatment strategies, as well as different patient populations being targeted, there will be greater application in the treatment armamentarium of specialists dedicated to treating obesity. We sought to review the existing technology and provide a review. Literature review was carried out for endoscopic and minimally invasive devices. Some of these products are not FDA approved, so limited data are available in their review. A summary of the device and data currently available on weight loss and safety profile is provided. Several products are in clinical trials or will be soon. Some of the technology has limited data and companies will be submitting their results for FDA evaluation. The obesity epidemic and associated weight-related diseases represent a tremendous burden to health care practitioners. As such, a multi-modal and progressive approach, with data and outcomes examined, is likely the best and most comprehensive method to care for these patients. SAGES endorses the benefits of minimally invasive and endoscopic approaches in the treatment of obesity and its related co-morbidities. 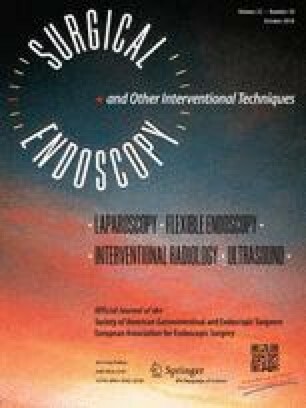 This article came from work done within the SAGES and ASMBS Endoscopic Bariatric Task Forces. Marina Kurian has been faculty for Apollo Endosurgery. Kevin Reavis has been faculty for Apollo Endosurgery, and is a PI for EndoBarrier multicenter trial. Matthew Kroh, Bipan Chand, Dean Mikami, and Leena Khaitan have no conflicts of interest or financial ties to disclose.